The Babila chair range now includes a stunning armchair option and comes from the design studio of Odo Fioravanti. Designed with an updated appeal from the original design first launched in 2013, the armchair comes with the same innovative form and composition as its original in the range. With a selection of seat colours and finishes and base options, the Babila armchair is the Product of the Week. Odo Fioravanti and his Italian design studio base their work on producing products for the mass market that successfully and practically present necessary solutions for the modern interior setting. 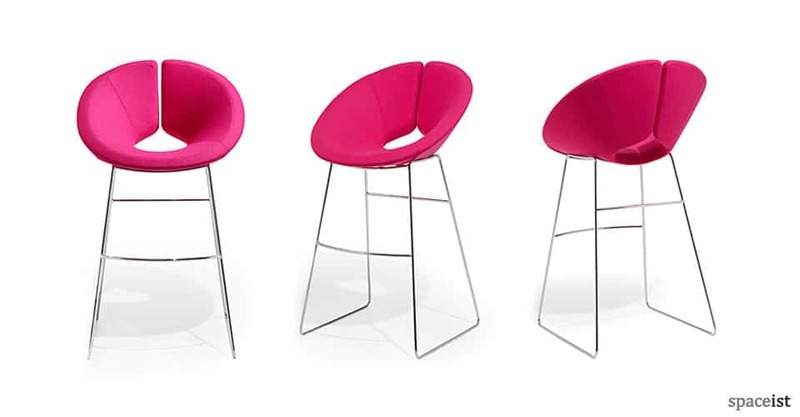 Through detailed research and an understanding of the importance of form, they are able to present products with a visual appeal as well as functionality. The basis of the design for the seat of the Babila stems from the choice to use plywood; by incorporating a unique technique, the plywood is manufactured to measure at different thicknesses along the seat to give it varying structural properties. A lower thickness is applied at the ends where the base legs will be attached and for the backrest section to allow a curve and movement of the wood when the chair is in use. Classical elements include the base legs, but with updated material options. Encompassing all this innovative design is the new Babila armchair range. 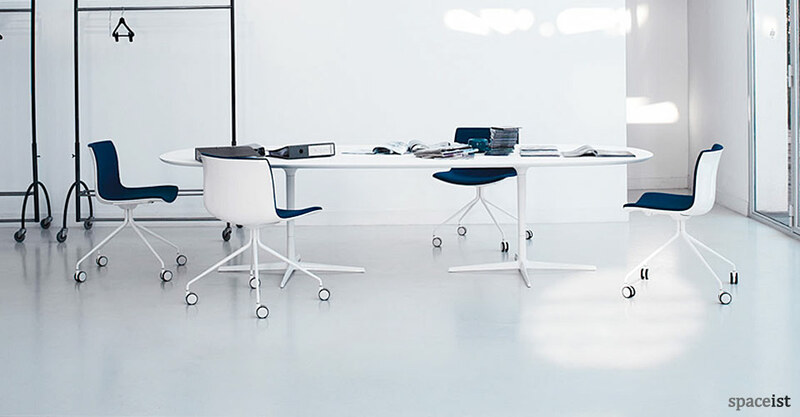 The distinctive curved polypropylene seat has been designed with integrated armrests for an enhanced user experience. the seat can be customised from a selection of seat colours and also an upholstered, fabric seat option for heightened comfort. Choose from ten modern colours including moss green or beige for the seat. 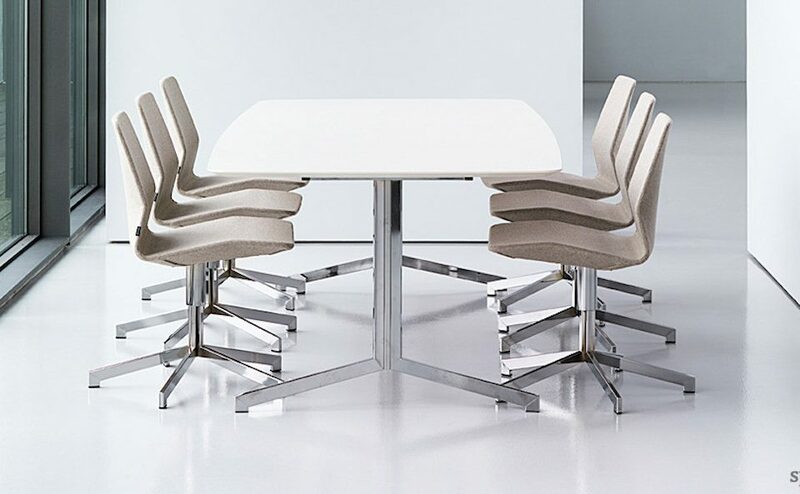 The base options are a versatile feature of the Babila chair range that allows it to function in a multitude of interior settings, from workplace meeting rooms to a café or restaurant setting with ease. 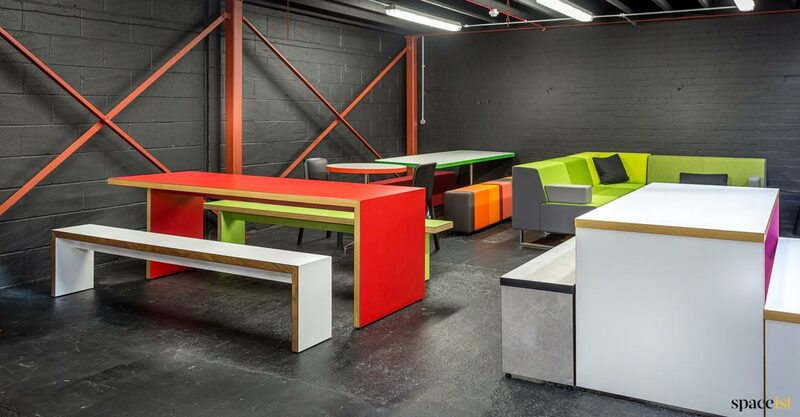 Choose from a slimline powder coated steel base legs, a powder coated steel sled base or solid ash wood base legs. 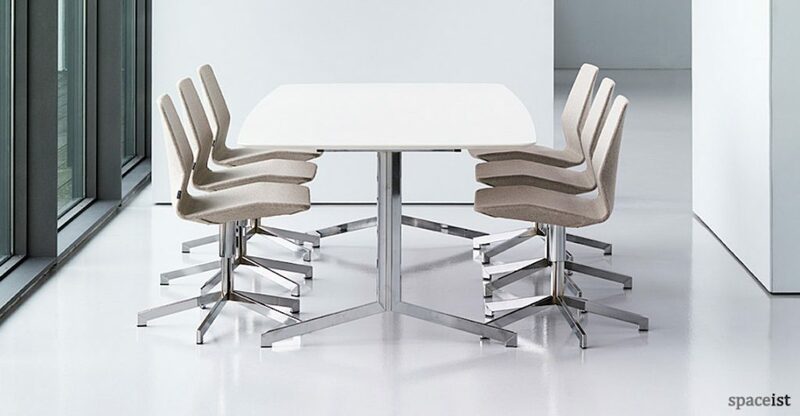 With natural wood finishing, or black and white for the steel base legs, the options to cater for different requirements is presented whether it is seating for a meeting room or reception area or a restaurant interior.